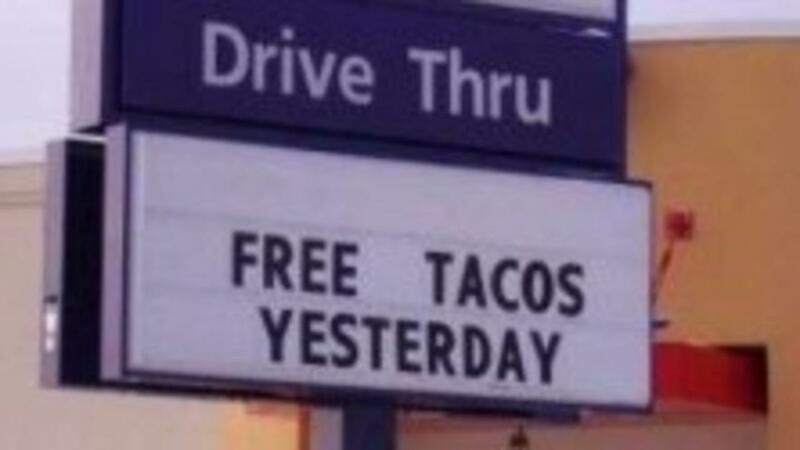 I'll admit it - when I first saw this restaurant sign featured in the Huffington Post, I laughed out loud. Chances are you did too! Consider your business signage. Signs present an easy, no-cost way to introduce some laugh into your customer's day. You already have the physical infrastructure in place! If you make a habit of posting funny messages, your customers and area residents will get begin to seek out your business specifically to see what funny thing you've said today. Handwritten signs in your businesses' interior, the use of chalkboards, and even table tents can all incorporate humor. The laughs will help build your business - and that's something you can smile about!